With parity dominating today’s landscape in professional football, the NFL playoff brackets aren’t usually completely determined until the final week of the regular season. Parity also makes attempting to pick perfect NFL playoff brackets nearly impossible. 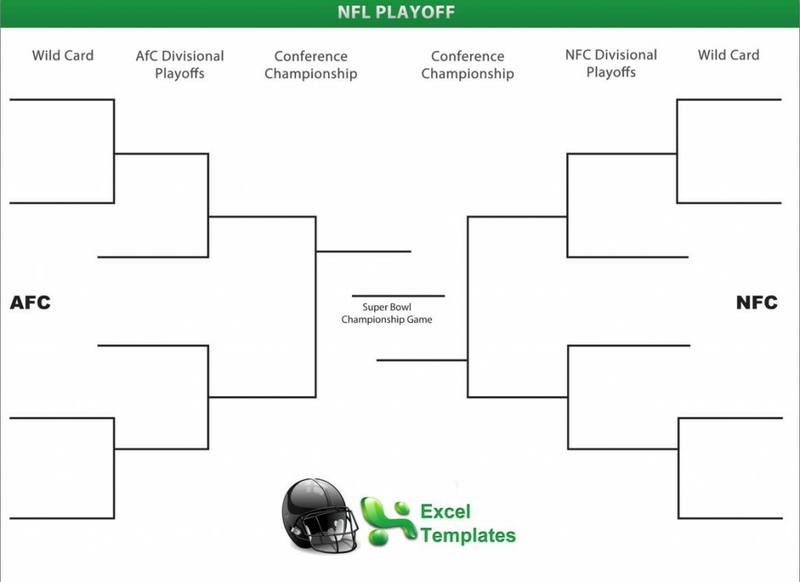 Printable blank bracket sheets make running an NFL playoff pool quick and easy. But recent history suggests picking this year’s Super Bowl champion may be much more difficult than you think. NFL playoff brackets weren’t formed until many years into the league’s existence. The playoff system began with the NFL Championship Game in 1933. The Super Bowl era began in 1966 when the NFL’s Green Bay Packers beat the AFL’s Kansas City Chiefs, 35-10, in the first big game. The Packers lead all professional football teams with a combined 13 NFL titles. The Pittsburgh Steelers have more Super Bowl wins than any other franchise with six. The Minnesota Vikings, Atlanta Falcons and Cincinnati Bengals are among the seven teams who have never won a Super Bowl or NFL title. Today, six teams from each conference earn a spot in the playoffs. Wild Card weekend features two Wild Card teams clashing with two division winners. The top two teams in each conference receive a bye and face the Wild Card round winners in the divisional round. The conference championship games are held the following week, with the winners of each advancing to the Super Bowl. In the end, these factors can help you pick winners, but the victor will ultimately be decided on the field.